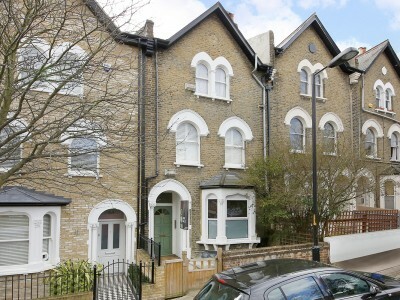 UNDER OFFER – A spacious Victorian one/two bedroom apartment with direct access to private garden. 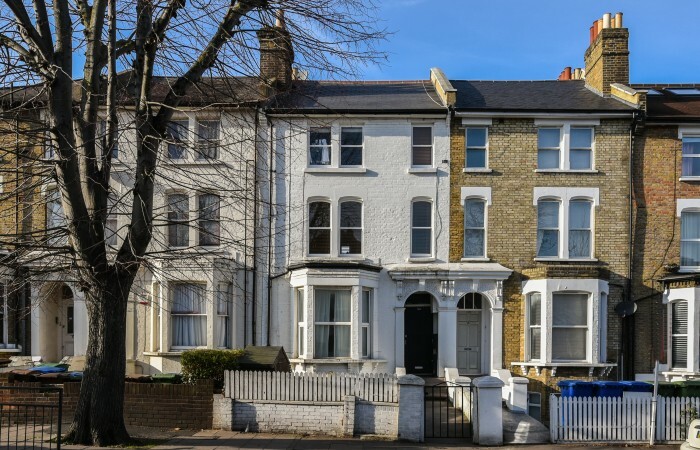 This spacious garden apartment, with its own entrance, is to be found on the lower ground floor of a period property towards the southern end of Barry Road. 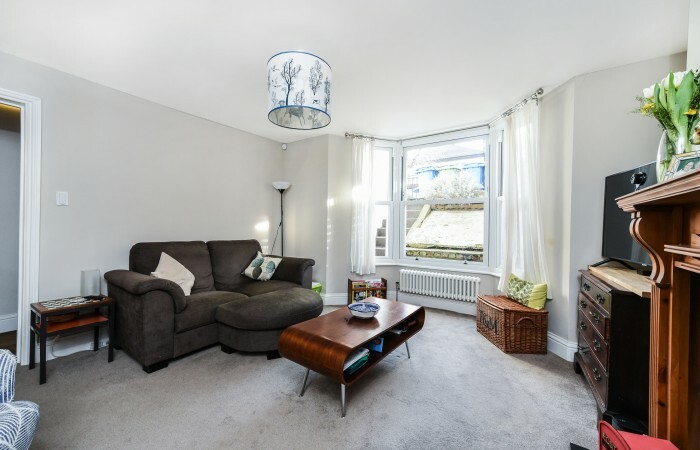 The property, which has been refurbished to a high standard, offers great amounts of adaptable space. It is currently used as a one bedroom apartment but, as it has a nicely spacious kitchen/diner, the current reception room could be used as a second bedroom with the kitchen/diner being used as an open plan living area. 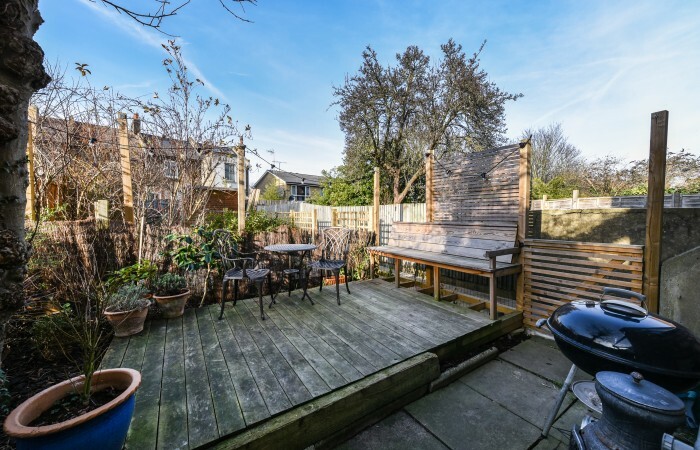 The apartment has direct access to its own private section of the rear garden. 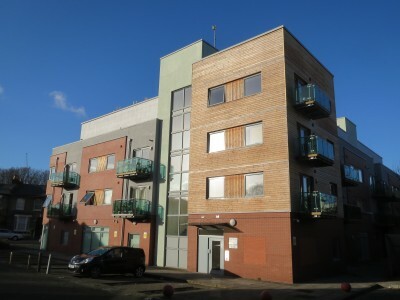 Adjacent is a section owned by one of the upstairs apartments in the building. However, at the rear of these two sections there is a further large area of garden the freehold of which is owned by our client. 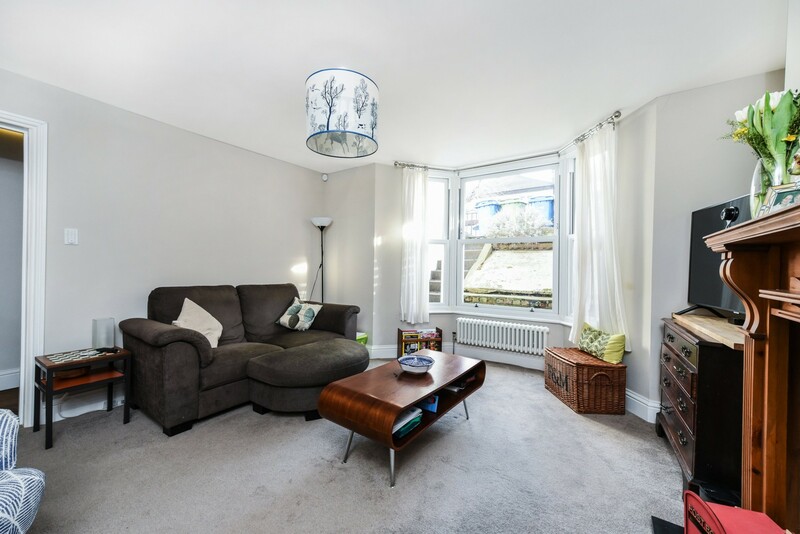 The asking price set out above is for our client’s leasehold interest in the apartment and its adjacent private garden section. 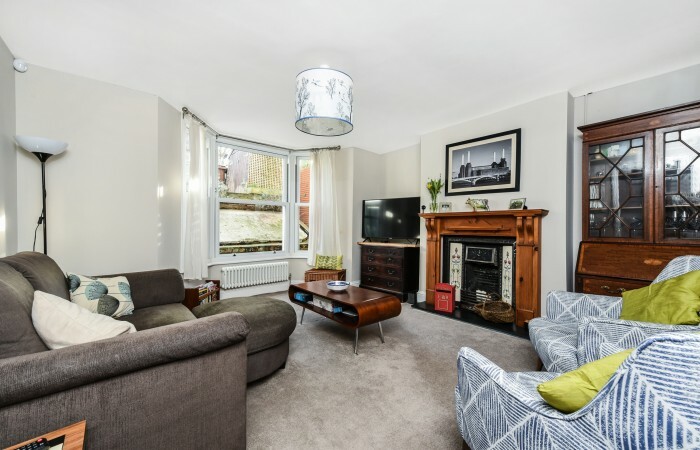 However, our client would also be prepared to negotiate, with anybody purchasing the apartment, for the sale of the freehold interest in the extensive rear garden area. 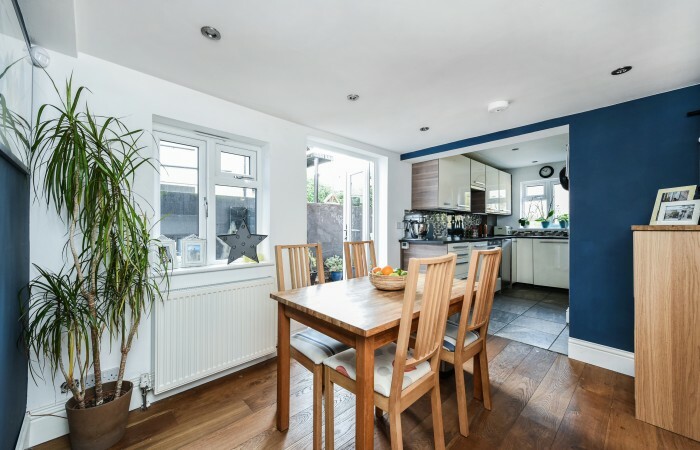 There is a local grocery store and café/bakery within a few minutes’ walk of the property and the many bars, restaurants and independent shops located in the centre of East Dulwich are no more than a 10 minute walk. Peckham Rye Park is to be found at one end of Barry Road and at the other end the open spaces of Dulwich Park are only a short stroll. The apartment is also well located for schooling with Heber primary and Goodrich primary schools within walking distance. East Dulwich railway station (which provides direct services into London Bridge (c.13 mins)) is within a fifteen minutes walk or a five minute bus ride from Lordship Lane. Peckham Rye station is also easily accessible by buses which stop close by the property. There you will find direct trains to Victoria, London Bridge, Farringdon, City Thameslink and King’s Cross stations and access to the London Overground services providing connections to the Jubilee line tube services to Canary Wharf. Frequent bus services are also available within a few minutes walk, which can take you directly to Victoria, Waterloo and London Bridge or, within fifteen minutes, to Denmark Hill or Forest Hill railway stations. You approach the property through the paved front garden and take the stairs down to your left where you will find the private entrance to the apartment. On entering the apartment you find yourself in the hallway with its stripped wooden flooring that extends throughout most to the apartment. To your right is a useful understair storage area with underfloor heating. Immediately to your left at the beginning of the hallway is the reception. This is a spacious room with a pretty period cast-iron working fireplace with tiled insets and a large bay looking out onto Barry Road. Continuing along the hallway, where you will find access to a ‘loft’ storage area, you next pass the bathroom on your left. 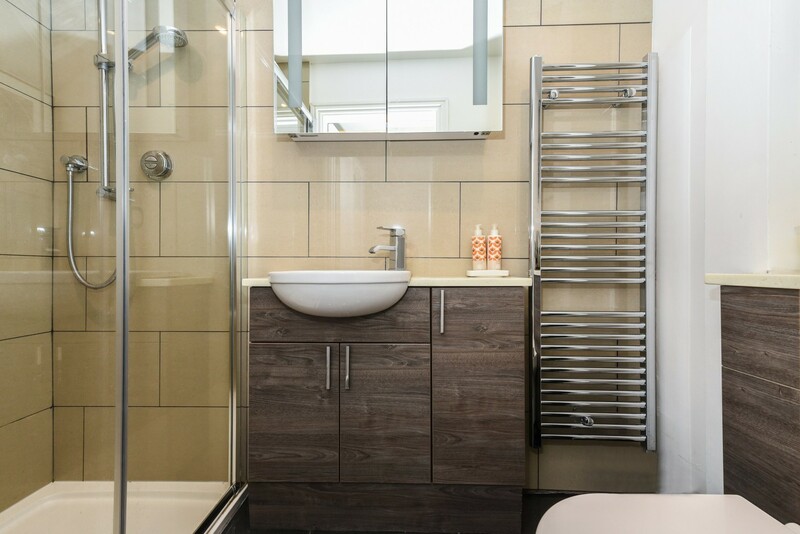 This is a slickly finished room, which is fitted with a white three-piece suite comprising low-level WC, hand basin and a large walk-in shower cubicle with digital temperature control shower unit and rainfall showerhead. 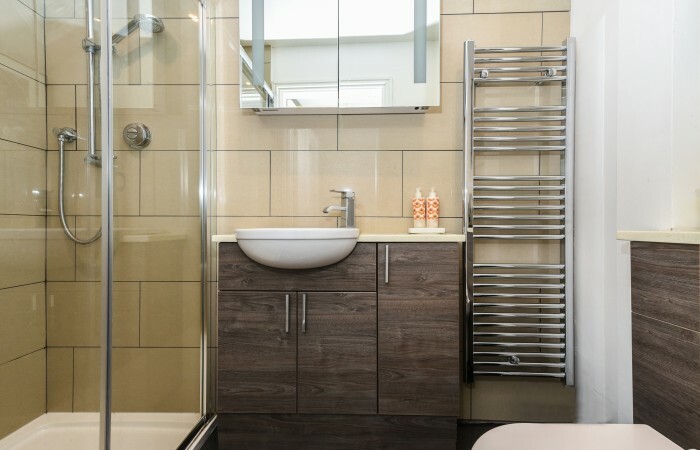 The walls and floor are tiled with contemporary ceramic tiling and there is a heated towel rail. Next along the hallway is the bedroom. 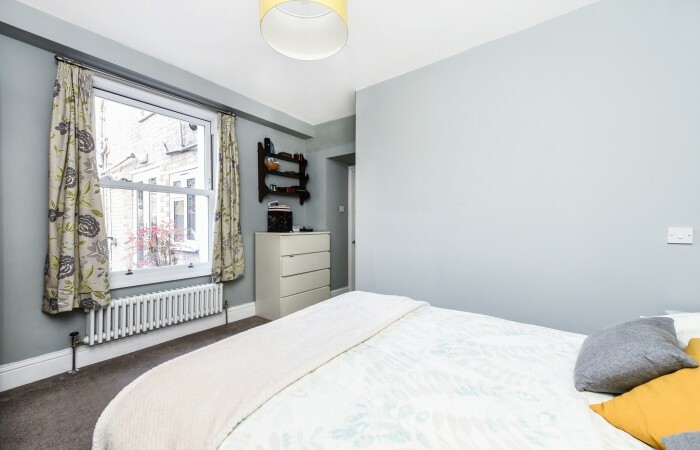 This is a large double room with a casement window looking out onto the side return to the property. 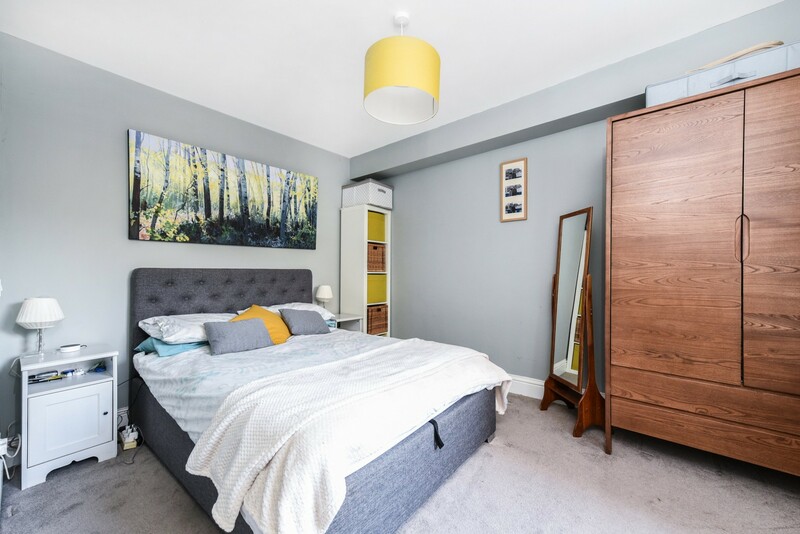 Next to the bedroom is a storage cupboard with centralised telephone, internet, TV & satellite access point, which is networked through to all rooms. 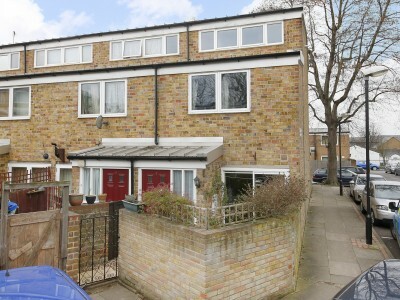 At the rear of the property you will find the spacious kitchen diner which benefits from underfloor heating. 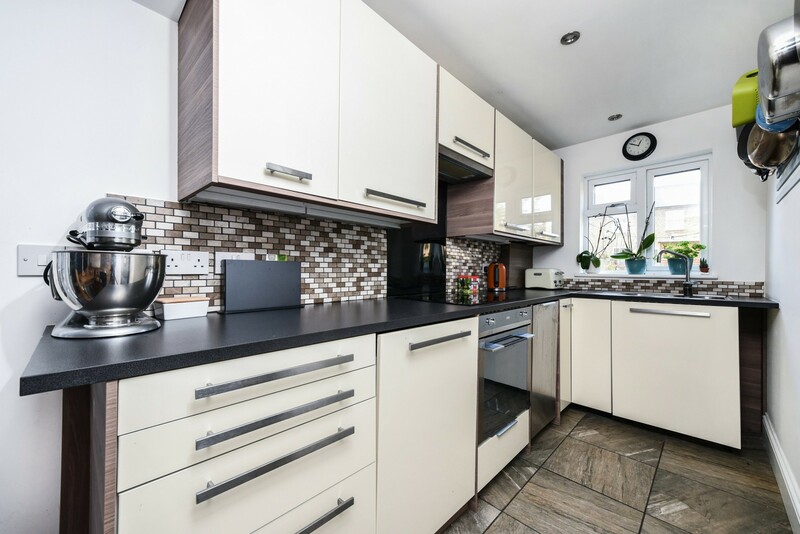 The kitchen is fitted with a range of modern high gloss units with an integrated AEG induction hob, SMEG oven, washing machine and slimline dishwasher. 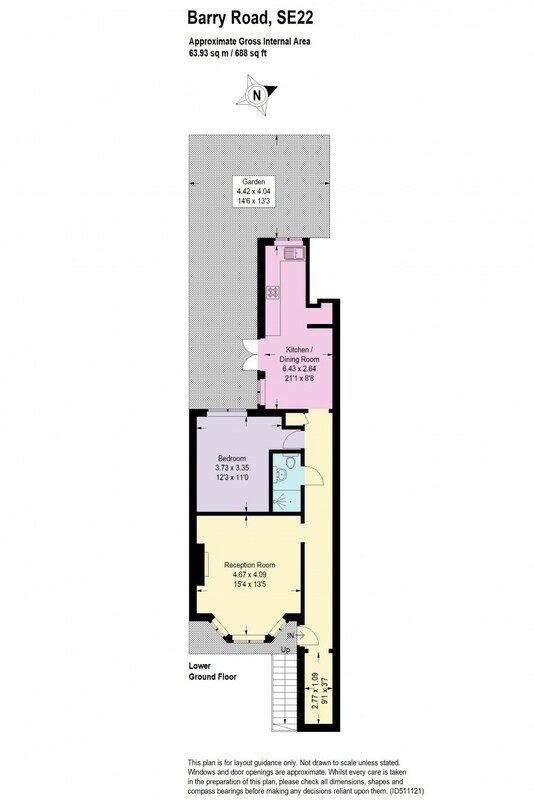 There is also space for a large freestanding fridge freezer. The pretty dining area has both a casement window looking out onto, and fully glazed double doors leading out into, the side return of the property and the garden area beyond. Externally the apartment benefits from a well laid out private section of the garden as well as a very wide side return. The main part of the garden area has been decked with surrounding beds planted with shrubs and perennials. It provides the ideal spot for outside dining or entertaining in the summer months. From the garden area a gate leads into a pathway, which leads onto the large rear area of the garden of which our clients own the freehold. This is an extensive area and is currently mostly laid to lawn with some raised beds and a large shed at rear. From this rear area a gate leads into an alley, which provides access out to Underhill Road thereby allowing plants, tools, etc to be brought into the garden without the need for them to pass through the apartment. 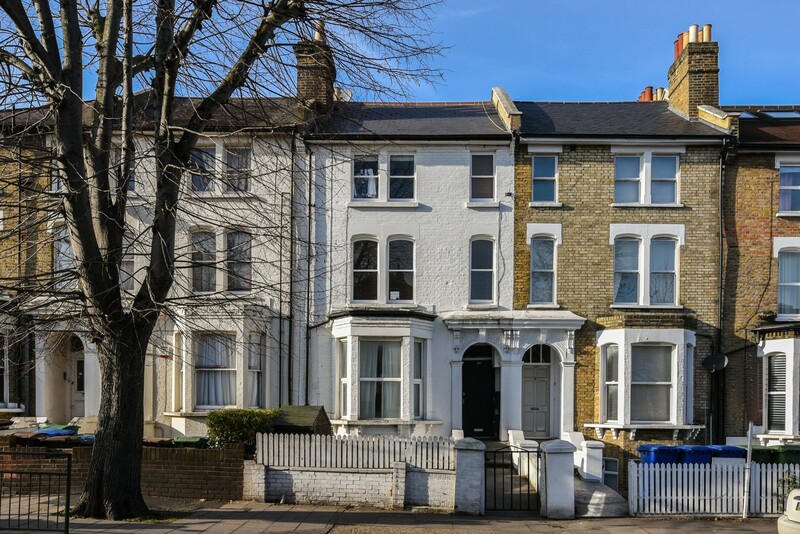 This lovely apartment is excellently situated and has been tastefully refurbished including the installation of replacement double glazed windows and period style radiators throughout. 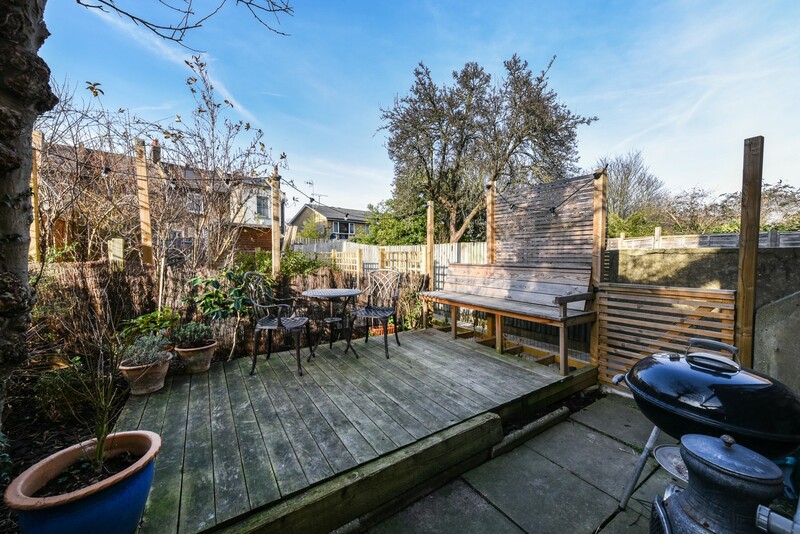 It provides generous and adaptable living space and a private garden area as well as the potential to negotiate the purchase of a further freehold garden area. Your early viewing is recommended.